At CFG Brokerage Network, our main focus is to support the brokers that work with us to deliver the best of class solution for their clients. In order to do this, we have put together an infrastructure of specialists with experience across multiple sectors of the marketplace. Our design team will help an advisor prepare an analysis that will help solve a need for a client. We will also assist in illustrating the appropriate product and concept to implement. 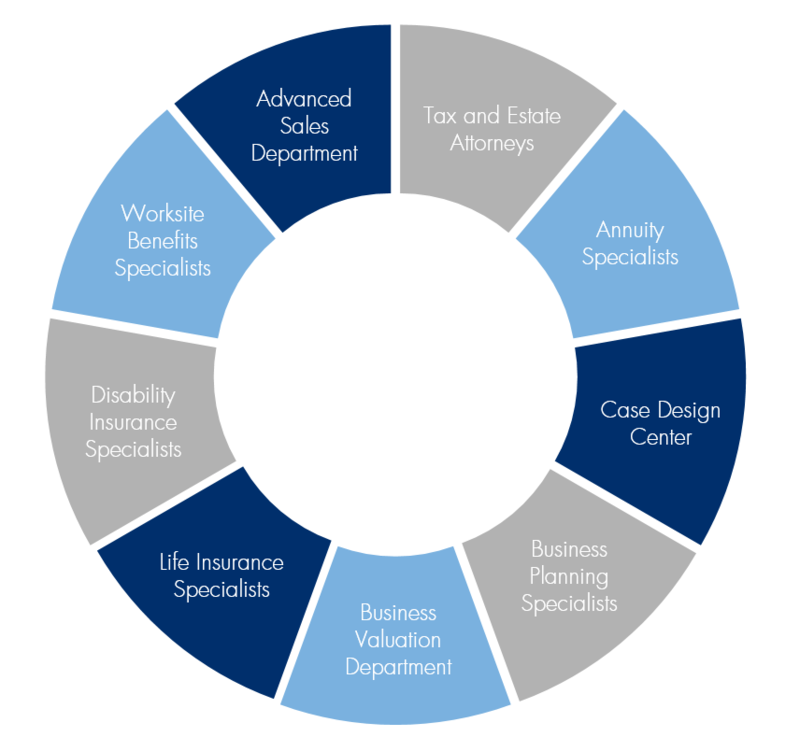 When an advisor is faced with a complex situation for a client, our team of business and estate planning experts will assist in finding a solution. Attorney Perry Smith leads our legal department to collaborate in wealth preservation strategies to make sure our brokers fully integrate a clients’ plans. Our team will analyze a clients’ legal documents and provide a memorandum if there may be issues and concerns that have not been realized. Our team of specialists will work with advisors to help their business owner clients be as efficient as possible in integrating their personal objectives with their business planning goals. We will design plans, analyze financial statements and help our brokers create solutions. The reality is most business owners don’t know what their business is worth. That’s because most business owners have never truly had their business valued. Knowing what your business is worth is critical for proper business planning. The first step we take in assisting an advisor in working with a business owner is understanding what their business is worth. We work to help advisors create and implement strategies that increase overall value of their clients company. Whether it involves learning about a product, underwriting a case or learning about a competitive situation, our life insurance specialists are available to help advisors work through the best product solution for their client. Disability insurance is one of the most important protection products a person can have, yet it is very common a client has a large gap in the event of an accident or sickness. Our experts will help advisors design the best product strategy and understand the marketplace to help provide the best solution for their client in the event of an accident or disability. In today’s highly competitive marketplace, it is becoming increasingly difficult for business owners to attract and retain top talent. Salary is no longer the sole compensation driver. Employees are placing an increasing importance on the employer’s overall benefits package and its potential to help address their real concerns of financially protecting their families in addition to adequately planning for retirement. Today, employees are looking for benefit plans above and beyond the standard packages that most employers already offer. At CFG Brokerage Network, we will help advisors provide specialized benefit packages that will address an individual’s top concerns, making them an effective tool for attracting key employees and keeping them on board. One of the biggest concern’s a client has is going into retirement and eventually outliving their money. Our annuity specialist will help identify and design strategies to protect a portion of a clients’ portfolio or guarantee an income stream a client will not outlive.